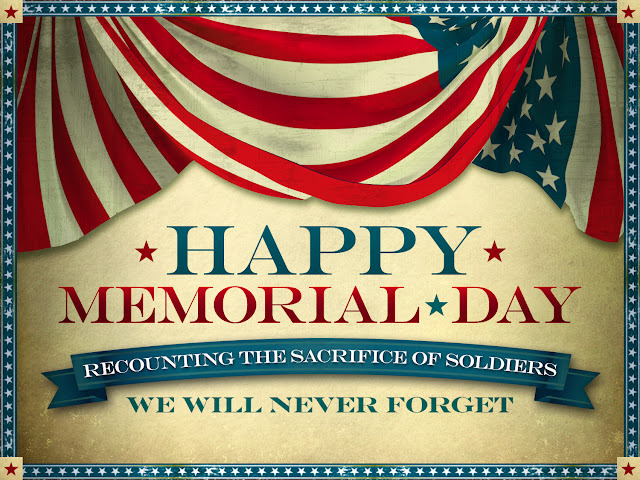 Memorial Day is an American holiday, observed on the last Monday of May, honoring the men and women who died while serving in the U.S. military. Originally known as Decoration Day, it originated in the years following the Civil War and became an official federal holiday in 1971. On the first Decoration Day, General James Garfield made a speech at Arlington National Cemetery, and 5,000 participants decorated the graves of the 20,000 Union and Confederate soldiers buried there. Many Northern states held similar commemorative events to reprise the tradition in subsequent years; by 1890 each one had made Decoration Day an official state holiday. Southern states, on the other hand, continued to honor their dead on separate days until after World War I. Memorial Day, as Decoration Day gradually came to be known, originally honored only those lost while fighting in the Civil War. But during World War I the United States found itself embroiled in another major conflict, and the holiday evolved to commemorate American military personnel who died in all wars. And some gave your life. By willingly paying the price. For all that you've done. For our daughters and sons. We walk hand in hand. Remember, we are with you. For the sacrifice you paid. How you were strong and brave.